As I mentioned in the previous post, there were a couple of handy PostGIS functions I found quite useful after importing prepped data via shp2pgsql tool. They involve working with Spatial Reference of geometries and working with Multi* geometries. Note, this will work if your geometry data is already properly projected and you just need to supply the projection name via EPSG code. Also, note the difference with ST_Transform – in this case your existing spatial reference is already known and defined, but is not the one you need the data to be stored in; you need to actually change the way geometry is saved in the table. For example you may have multiple input shapefiles in different UTM zones that you’ve imported, data from which you want to store together in one PostGIS table in lat long. Sometimes you may have situations where the data is stored via multi geometries, but you need to do operations on each single element of those objects without permanently splitting them. For example, I needed to know if simple polygon features of layer A covered at least some of the polygons making up multypolygon features of the layer B. ST_Dump turned out to be the perfect tool for that! Note that ST_Dump returns a geometry_dump construct, containing geom and path to the feature as (geom, path). Thus, to access just the geometry, you need to call ST_Dump(geom) of the multi geometry, and then call the geometry of that as ST_Dump(geom)).geom. By using ST_Dump to build alias ‘b’ we are able to check each simple polygon geometry of multipoly_table_b for an overlay with each polygon of simplepoly_table_a. This is it for this article, hope you found it useful. It is safe to say that PostGIS supplies a great wealth of diverse functionality for working with spatial data. Be sure to explore the reference if you want to learn more about performing similar tasks, or wonder if your unique need can be addressed! 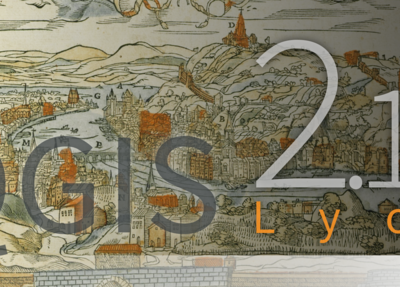 Make sure to read Daily Discoveries of a FOSS4G User: QGIS, the Vector Doctor. Anna Pestereva is the Application Developer and Cartographer at Aerial Services, Inc. She combines her diverse backgrounds in web and desktop application development, cartography training and GIS research with passion for open source software to create efficient and innovative spatial solutions for the clients, as well as to benefit diverse automation efforts in the company. Anna is GIS-P, has a MS in Cartography and MA in Geography, and loves sharing her knowledge - don't hesitate to ask her questions!